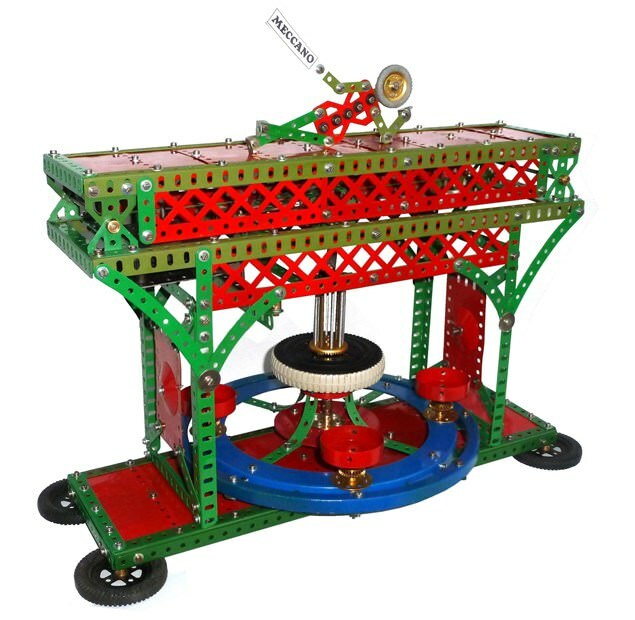 The model has a large rotating pendulum that rotates from the left to the right. It is driven from a No. 1 Clockwork Motor and runs for about 10 hours.